Официальный магазин команды Астана открылся! 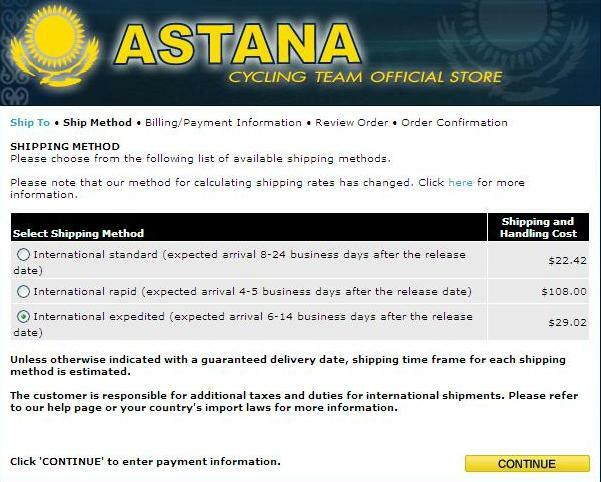 Please Note: The items in this department are available for pre-order only. 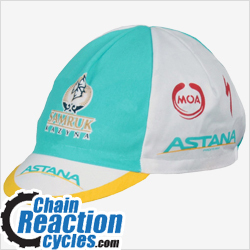 Your credit card will be charged at the time of checkout and your order will ship on or around March 25, 2009. 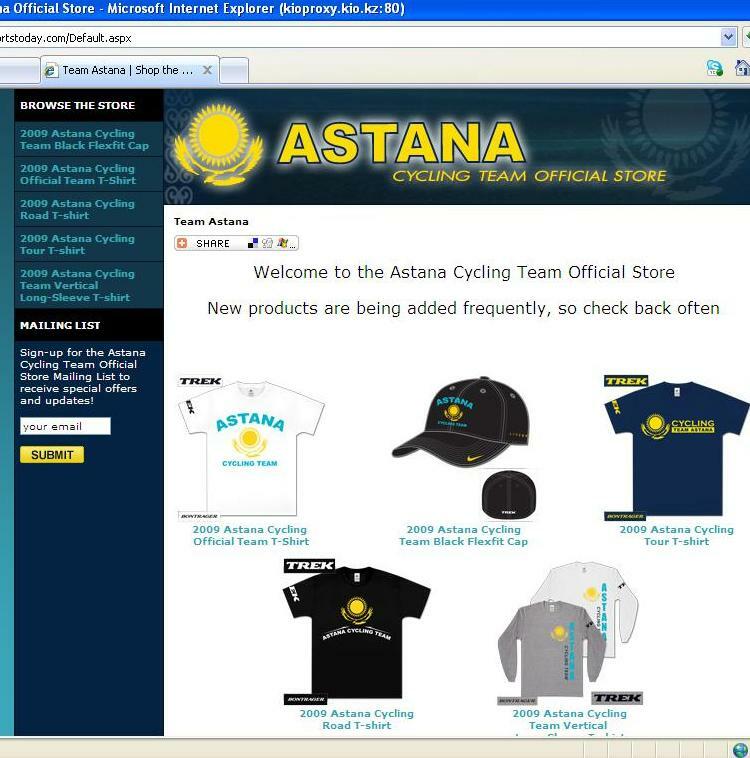 TeamAstana @KazakhNeRider We will be having an expanded range of items. This is just the beginning! Stay tuned and check back often.